Digital technologies and social media platforms are changing civic expectations surrounding interaction with government. Local governments hold key positions in the development of digital spaces for civic participation in the issues that directly impact citizens’ everyday lives. However, local practices largely prioritise information and services over reciprocal dialogue with citizens. 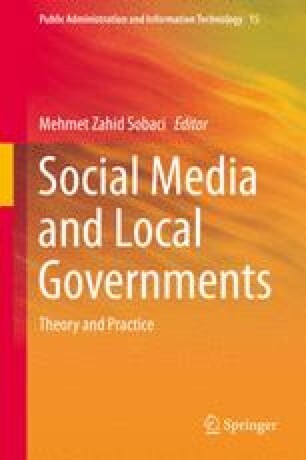 This chapter explores digital civic engagement in Australian local governments. It draws from a nation-wide survey of councils’ digital practices to highlight that opportunities for civic participation are increasing, particularly through social media. However, substantial discrepancies exist between the digital practices of rural and urban local governments. This discrepancy is further examined through comments from seven rural councils that participated in a workshop on digital engagement, and the views of urban citizens (through focus groups) whose local government offers advanced digital practices. For the rural authorities, key challenges to digital development include limited connectivity, capacity, and financial resources, as well as the different expectations that citizens have in relation to social media use. For the (urban) citizens, participation in online spaces has gone unanswered by their government, which is creating a sense of disenfranchisement. While there is evidence of innovation in Australian digital local government, civic demand and government use largely fail to align. Councils need to reconceptualise current approaches to digital engagement by considering the purpose of participatory spaces and integrating their use into everyday operations. Moreover, greater government receptivity and responsiveness is required to enable civic participation to inform local decision-making. Such involvement allows citizens to develop a sense of connection with local government and facilitates increased civic engagement. Australian Bureau of Statistics (ABS). (2012). Population estimates by local government area, 2011–2012. 3218.0 Regional Population Growth, Australia, 2011–2012. Available: http://www.abs.gov.au/AUSSTATS/abs@.nsf/DetailsPage/3218.02011-12?OpenDocument. Berejiklian, G. (2014). Transforming Sydney: Planning approval granted for $1.6B CBD and South East light rail [media release]. Randwick City Council. http://yoursayrandwick.com.au/lightrail/news_feed/media-release-transforming-sydney-planning-approval-granted-for-16b-cbd-and-south-east-light-rail. Broadband for the Bush Alliance. (2013). Better telecommunications for rural and remote Australians: A Broadband for the Bush Alliance policy paper. Desert Knowledge Australia. http://broadbandforthebush.com.au/wp-content/uploads/2013/05/Broadband-for-the-Bush-Alliance-Policy-June-2013.pdf. Department of Broadband, Communications and the Digital Economy (DBCDE). (2011b). Digital local government program guidelines. http://www.communications.gov.au/__data/assets/pdf_file/0015/140307/Digital-Local-Government-Program-Guidelines.pdf.